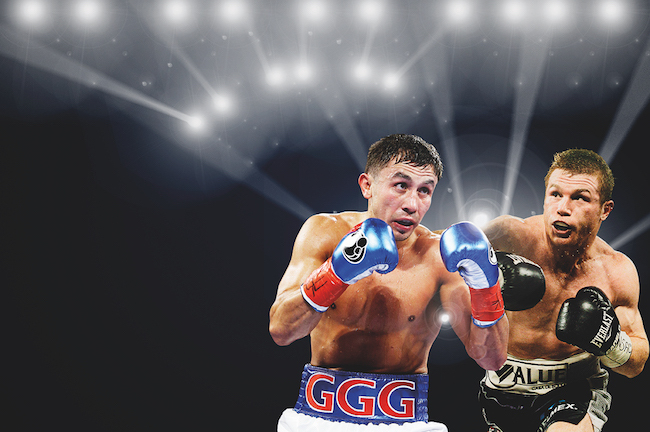 Gennady Golovkin and Canelo Alvarez will meet at middleweight in a bout that has true boxing fans salivating, writes CLINTON VAN DER BERG in SportsClub magazine. It’s just as well the long-awaited Gennady Golovkin-Canelo Alvarez middleweight title fight takes place just three weeks after the gaudy freak show featuring loudmouths Floyd Mayweather Jnr and Conor McGregor. Someone will need to clean up after the circus act that passed through Las Vegas. Even by Sin City’s extravagant standards, not to mention boxing’s, the cross-code fight was nothing more than a hideously expensive promotion that made fools of us all. No matter. Even after that wild shindig, boxing is in credit. We can thank Anthony Joshua and Wladimir Klitschko in the main. In April the pair waged a heavyweight battle for the ages in front of a frenzied 90,000-strong crowd in London. It had echoes of Rocky as both men hit the deck and showed incredible courage to wear one another down. Joshua prevailed, and in an instant a decent, dignified (and thoroughly dangerous) figure was installed as the new heavyweight king. Meanwhile, new stars continue to emerge – take a bow Vasyl Lomachenko, Errol Spence and Terence Crawford – while an old one (Andre Ward) defied age and the power of beastly Sergey Kovalev to draw new followers to a sport that constantly evolves in the public consciousness. Ah, but what about the robbery of Manny Pacquiao in his recent fight against little-known Jeff Horn of Australia? Forget it, there have been 100 other results in the past decade that were far worse. Besides, controversy is the oxygen that boxing thrives on. The only dispute around September’s Golovkin-Alvarez fight has been why it took two years to make. Alvarez is the so-called ‘lineal’ middleweight champion on account of beating Miguel Cotto, but after doing so he dropped down in weight and ignored loud calls to do business with ‘GGG’, who by common consensus is the best fighter at middleweight. Promoter Oscar De La Hoya explained it away by saying that it would do good to let the fight ‘marinate’ to ensure maximum interest and buckets of cash for the adversaries. He might have been right. In pure boxing terms, it’s the perfect fight. Despite being Kazakh, Golovkin has traded on ‘Mexican style’ boxing, borrowing heavily from the greatest Mexican fighter of them all, Julio Cesar Chavez Snr. What’s more, he has long ingratiated himself with Mexican fans by praising their natural fighting instincts and trying to emulate their best. Golovkin is also that most appealing of boxers. He allies furious power with his deadly rhythm, giving him the ability to box and punch to devastating effect, a blend that fans adore. Until his last fight, a surprisingly arduous outing against Danny Jacobs, GGG hadn’t been the distance in nine years, having accumulated 23 successive stoppage wins. Not even middleweight greats Marvin Hagler or Carlos Monzon could boast that sort of run. Despite his excellence – unbeaten in 37 fights with 33 KOs – Golovkin has lacked a career-defining fight. Until now. Whereas Sugar Ray Leonard had Tommy Hearns, Roberto Duran and Marvin Hagler, Golovkin has had to make do with a shallow pool of rivals. It’s not his fault, but he now has a challenge that could define his legacy. The only blot on Alvarez’s 51-fight ledger is a points defeat to Mayweather four years ago. He beat everyone who mattered at welterweight and, Mayweather apart, banged out a crop of elite junior-middleweights before fleetingly visiting the middleweight division. He’s a devastating body-puncher with a beautiful jab, but not nearly as powerful as Golovkin. Perhaps more importantly, and critical to the outcome, is that he isn’t a natural middleweight like Golovkin. He’s a relentless, smooth hitter whose remorseless style makes him the biggest star in Mexican boxing and the natural heir to Chavez Snr. Ironically, in his last fight he thoroughly dominated Chavez Jnr, a decent fighter who squandered his good genes through disinterest. What’s at stake is more than just confirmation of the best 72kg fighter on the planet. Both boxers are on the top 10 pound-for-pound list. Whoever wins will stake a claim to the No 1 spot nominally held by Lomachenko or Ward, depending who you ask. If the Mexican triumphs, he’ll enter superstar status beyond his Mexican enclave. He’s still just 26 and although he doesn’t speak English, a win would help break him into the mainstream. Any number of big fights could be made down the line. Golovkin is already 35, so age isn’t on his side. He has few mountains left to scale and is focused on ensuring his legacy is cast in iron. If he beats Alvarez, it would be difficult leaving him out of a list of the top five middleweights in history. The other rival for middleweight primacy is Hagler, the great southpaw who might have had the best chin in the division’s history. Golovkin’s isn’t bad either: he’s never been dropped in over 300 amateur fights and an 11-year professional career. Leonard only briefly fought at middleweight, famously beating Hagler, and is generally rated at welterweight. So too Hearns. Duran dabbled in the middleweight division, but he was a lightweight great. Even so, I expect Leonard would have had too many moves for Golovkin, while a Hearns fight would go the same way as what Hagler did to Hearns, lulling him into a brawl before sparking him in the third. What truly matters is that we have the best middleweight fight since the 1980s close at hand. It has the makings of a classic. 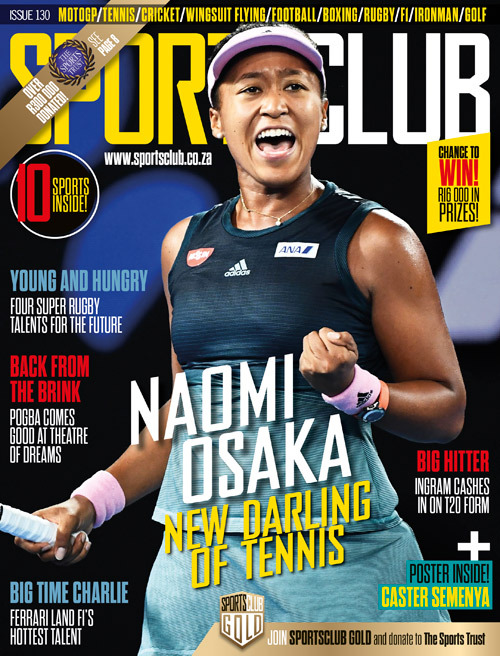 – This article first appeared in issue 111 of SportsClub magazine.